Juan Sanchez, who stirred controversy in recent months as CEO of the nation's largest nonprofit dedicated to sheltering migrant children, is stepping down, Southwest Key Programs said Monday. “Recent events have convinced me that Southwest Key would benefit from a fresh perspective and new leadership,” Sanchez said in a written statement. “Widespread misunderstanding of our business and unfair criticism of our people has become a distraction our employees do not deserve. It’s time for new beginnings." The South Texas native started Southwest Key in 1987 with five employees, and over the next three decades he built a nonprofit with almost 8,000 employees in seven U.S. states. In the last five years, the influx of migrant children across the U.S.-Mexico border became a boon for the company, which has pulled in over $1.5 billion in federal contracts in the last decade. But the boost in fortunes also brought additional media scrutiny, particularly last year. In the wake of the Trump administration's "zero-tolerance" policy that separated thousands of children from their parents — in turn swelling the population of migrant children in Southwest Key's shelters — Sanchez came under fire for a series of controversies. His $1.5 million salary was seen as excessive. Allegations of sexual misconduct and lax vetting procedures at Southwest Key facilities threatened to derail its shelter operations in Arizona. Then last September, Southwest Key told The Texas Tribune that Sanchez had an ownership stake in a property that the nonprofit leased. In December, after publishing a scathing article that said Southwest Key had "stockpiled tens of millions of taxpayer dollars with little government oversight and possibly engaged in self-dealing with top executives," The New York Times reported that the U.S. Department of Justice was investigating "the possible misuse of federal money" by the nonprofit. When asked in September about allegations that he he'd profited from aggressive immigration policies, Sanchez said he'd been unfairly scrutinized in part because of his ethnicity. 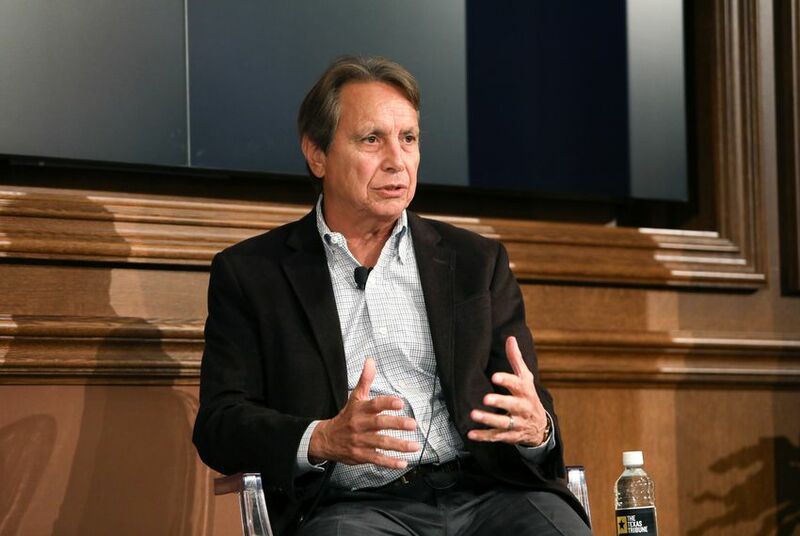 Orlando Martinez, the chairman of Southwest Key's board of directors, said the nonprofit would conduct a nationwide search for a CEO to replace the retiring Sanchez as it looks carefully at "what is required to evolve and grow as an organization." In the meantime, Southwest Key's chief operating officer, Joella Brooks, will take over as interim CEO, the company said.